The producers of a movie opening in theaters nationwide next weekend didn’t hold a red carpet premiere in New York or Los Angeles to celebrate the release of their film. Instead, they chose the sidewalk outside the Supreme Court. 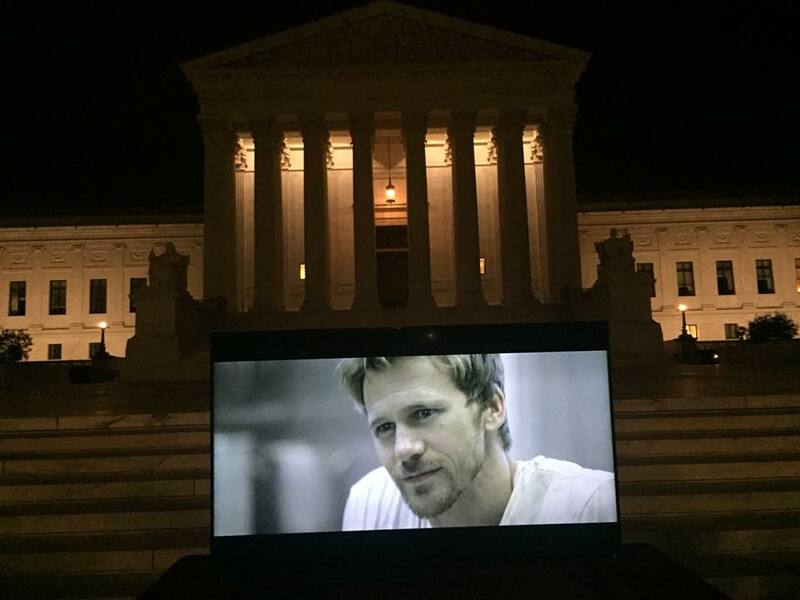 “Voiceless,” a pro-life film opening Oct. 7, held its premiere Sunday evening outside the nation’s highest court, where abortion was legalized nationwide in 1973. Organizers said that the film’s premiere marks the first time the court has allowed a movie to be shown on the sidewalk in front of the building. Full disclosure: I know one of the producers, Jason Jones, personally. He has a passion for pro-life filmmaking. Past credits include Bella, which won the Toronto Film Festival's People's Choice Award for its moving depiction of unplanned pregnancy and adoption, and the short film Crescendo, which... actually, just go watch it on YouTube right now. I'll wait. I had the opportunity to see Jason's latest offering, Voiceless, at a pro-life conference earlier this year. The story is about a young pastor who must rally his apathetic church to do something about the abortion business across the street. As you might guess, atheists like myself are not the intended audience. Co-producer Stuart Migdon says: "This is a movie written for the church, to the church, to motivate the church." No doubt such a project is needed. And if anything can kick politely-silent-on-abortion Christians out of their stupor, it's Voiceless. The overt religiosity aside, I liked it. This is a film with strong character development and production values. I especially appreciate the fact that the film features a realistic whole-life protagonist, beating back the slanderous stereotype that pro-lifers only care until the baby is born. If you want to see Voiceless, click here for theaters.